This week Sister Cities Girlchoir unites with 4 other programs inspired by Venezuela’s music for social change program, El Sistema. El Sistema is a network of musical programs for youth that started 40 years ago in Caracas with 12 youth in a garage and now serves over 400 thousand children and has touched countless lives. There are now literally hundreds of programs all over the world, including one hundred in the United States, that are following El Sistema‘s vision of empowering children through music. The Girlchoir takes inspiration from the work being done in Venezuela and adds a few pieces specifically designed for our community here. For example, SCG is the only all-girl Sistema in the world! 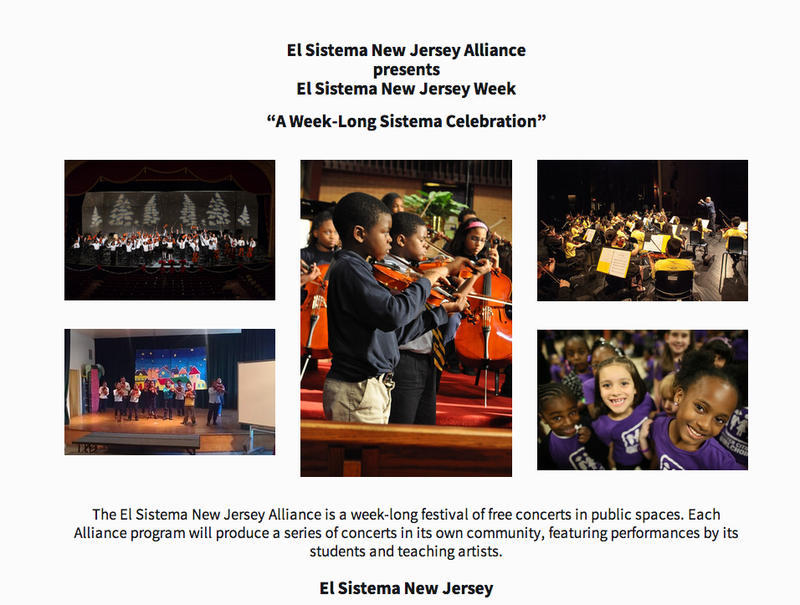 We are so lucky in the state of New Jersey to have so many inspirational musical programs —the New Jersey Symphony Orchestra’s CHAMPS in Newark, The Paterson Music Project, the Union City Music Project and Orange’s Sonic Expressions and Sister Cities Girlchoir in Camden, NJ and across the river in Philadelphia, too. All of us will be celebrating the power of music to create social change and empower youth by performing throughout the state all week long. Stay tuned and search our official hashtag #ElSistemaNJ for video, photos, and posts about the events citywide. To learn more about the Alliance and for a full calendar of events, please visit http://bit.ly/1xDsfWr. Previous Arbonne Foundation Donation Helps SCG Girls See Their Beauty-Inside and Out!